Weston Beamor, the Birmingham-based 3D printing, casting and bespoke manufacturing company, has restructured the workings of its management team and appointed new staff in a bid to grow further its customer base. Glen Day remains as Head of Business Development, but, rather than being office based as in the past, he will now spend four days a week travelling the country to meet with Weston Beamor’s customers and potential customers. Day, who reports directly to the company’s managing director Andrew J Morton, retains his overall, supervisory role within Weston Beamor. 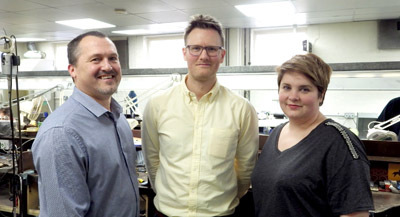 However, he hands over greater responsibility for the day-to-day running of the business jointly to Ed Hole, who is Head of CAD and 3D Printing, and Kate Wall who is the Administration Co-ordinator with special responsibility for the company’s casting services. “The services that Weston Beamor offers are much broader and more sophisticated than in the past and we have become aware recently that many of our regular customers – let alone potential customers – are not fully aware of all the manufacturing facilities that we can offer them, particularly in the sphere of creating bespoke designs,” Day explains. The company believes that Day’s 30+ years of experience in the jewellery industry (he trained originally at the bench) and his strong grasp of all the modern and traditional production techniques that WB offers, make him ideally placed to take on a more ambassadorial role. 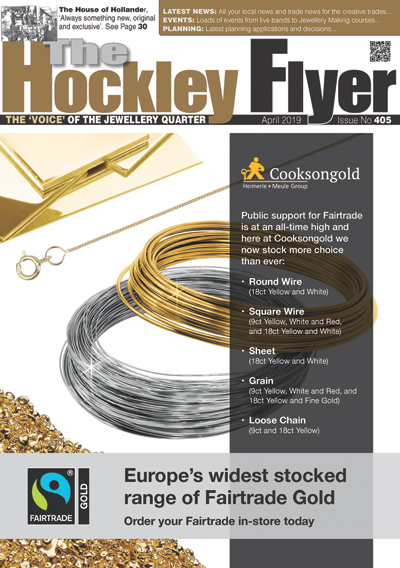 “I simply love talking about jewellery and I much enjoy being able to help retailers and designers to solve their bespoke manufacturing problems. Going into retailers’ shops, seeing the ranges they are selling and talking to them in their own environment about what we can do to help them gives me a much greater understanding of their needs and opens up a much stronger channel of communication,” he says. Although it is still early days, the new strategy seems to be paying dividends already. Weston Beamor enjoyed the most successful year in its long history during the financial year 2016/17 and has grown its client base further in recent months. It has also increased the size of both its CAD and administrative teams to cope with the additional demand. Readers who would like to receive a visit from Glen Day should contact him at glen.day@westonbeamor.co.uk or telephone 0121 678 4131 to make an appointment.